Besides that, I do have a review of Onyx scheduled this week and tons of reviews to write so hopefully the blog will be exploding with them in the next couple of weeks. It's just been an extremely busy summer. Nice. I like the cover for this book. Come visit me as well. Winning books is awesome! Hope you enjoy it! 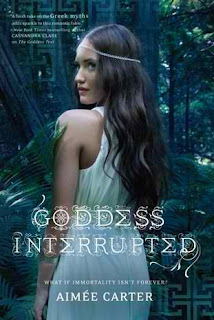 Goddess Interrupted looks and sounds good. It's on my wishlist! :) Enjoy reading the book! I haven't read any in this series yet. I hope you enjoy it!